Streicker & Company Inc. has been named public relations agency of record for Sperian Fire, which provides firefighters with respiratory equipment, protective apparel and instrumentation for gas detection. Sperian Fire is a division of Sperian Protection, a manufacturer of personal protection equipment and apparel. It is publicly traded on the Paris stock exchange. 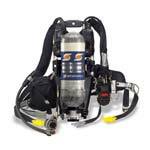 Streicker & Company will introduce Sperian’s new self-contained breathing apparatus (SCBA), the Warrior, to fire departments and other prospective customers across North America. The agency will contribute to overall marketing strategy and will publicize the Warrior and other Sperian products.